Alfred Hister refuses to sign the pact, and annexes several provinces. 4 Panzer Divisions under Heinz Guderian invade the demilitarized Aragon. The Draft is introduced. Work on 8 more panzer divisions are underway, along with 50 more submarines and 2 more aircraft carriers. News of the Mitteleuropean's ignoring of the pact is let known to the public, and recruiting lines soar in the little island nation. Citizens of the commonwealth across the channel also enlist in the military, to protect their country. Ship building has soared, and thousands of planes are manufactured everyday. Hundreds of pilots get their wings, and from the Japanese side of the blockade, the sky is alive with air planes on patrol. They appeal to any other nations, "We seem to be the last standing bastion of Democracy. Help us, and we will help you. Don't let our world that God gave us crumble like it is about to. These countries have declared a war on the world, and they will destroy anything in their way." Despite the threats of the British, the Japanese ships stay blockading the harbor. They allow merchants ships through, under the condition they may search all ships, and seize anything related to the war. In Japan, due to large-scale propaganda against the Brits more and more men are joining the militairy. Factories are forced to stop producing items deemed "worthless" and start producing tanks, weaponry, ships, and aircraft. It seems as though the Japanese are preparing to fight this one out. Several aircraft carriers are sent to the blockade, where Japanese planes fly over the blockade, and city, ready, at any moment to push the big red button. In the darkening of their skies, RAF pilots shoot down many Japanese planes, essentially declaring war. 'We shall defend our island, whatever the cost may be, we shall fight on the beaches, we shall fight on the landing grounds, we shall fight in the fields and in the streets, we shall fight in the hills; we shall never surrender.'" Several Japanese planes fly over the state. It seems to be just another routine flight, but this time is different, bombs are dropped on the ships in the harbor, the harbor, and London the countries Capitol, damage is substantial, and casualties are heavy. 1 Japenese plane was shot down in this extremely successful attack. The British retaliate in the same day by attacking the naval blockade both with naval forces and with the RAF. This joint operation's attack was substantial, inflicting heavy casualties to the Japanese and pushing them away from the tiny island nation. Black smoke can be seen from Britannia. Some pilots go unpunished as they shoot Japanese seamen in the water, saying that they were giving them a "mercy killing" because of the cold Channel. Many people who enlist join the RAF, and for the first time in the RAF's history, they have more pilots than planes. Alfred Hister orders the oceanic fleet in the ports of Kiel and Munich to go on standby and for the submarine fleets in Hamburg, Danzig, and Barcelona to move out to sea. The Japenese officially declare war on the "monstrous nation of Britannia" "for their horrific crimes against humanity". The Japenese move 4 million soldiers to the borders of Brittania, awaiting orders to attack. British planes provide air overwatch round clock to both their Island and their Navy. They know that the other Axis nations will be looking to attack them, and how much those Mitteleuropans love their submarines. They also fortify their colony nations and Island for impending attack. The u-boat U-222 sites a ship on the horizon, an unguarded merchant ship. The u-boat launches torpedoes and sinks the British cargo ship, carrying oil to London. The order is given for 2 million to invade. They ride in on tanks. Several hundred Japanese planes flood the sky and bombings happen in many major cities all over Britannia. The "Home-guard" complete with invasion spikes, are no match for the heavily armed soldiers of the Japanese, the ships from the blockade move back into position, and continue blockading. //How can you invade when you haven't achieved full air superiority? All because you fill the sky with planes doesn't mean you can invade with 2 million men. Hitler couldn't even do it, and he filled the skies with planes carrying the German Cross for several days at a time. 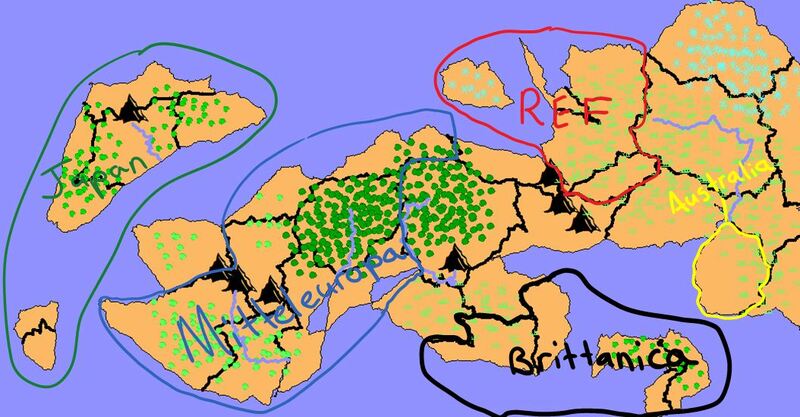 Dotaria wrote: //How can you invade when you haven't achieved full air superiority? All because you fill the sky with planes doesn't mean you can invade with 2 million men. Hitler couldn't even do it, and he filled the skies with planes carrying the German Cross for several days at a time.